Accessible elegance, this ground floor room has a grand Venetian four poster bed. The Garden Room is situated on the ground floor, with French doors opening onto the garden. 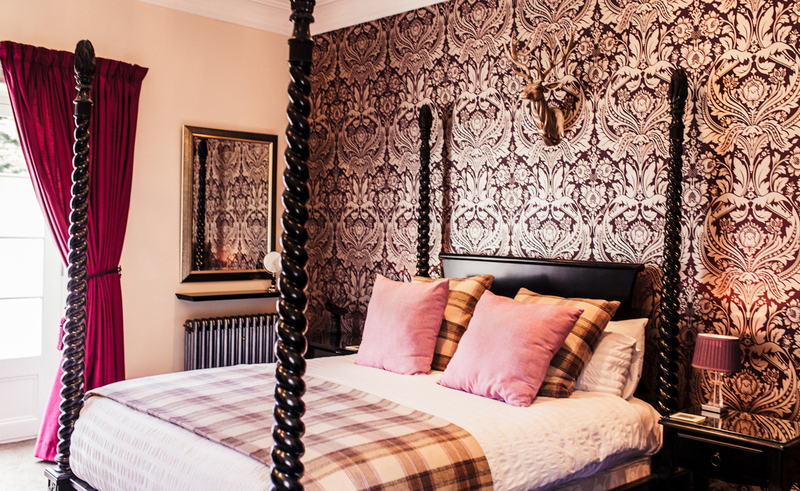 It is a luxurious double room with a king size four poster bed. 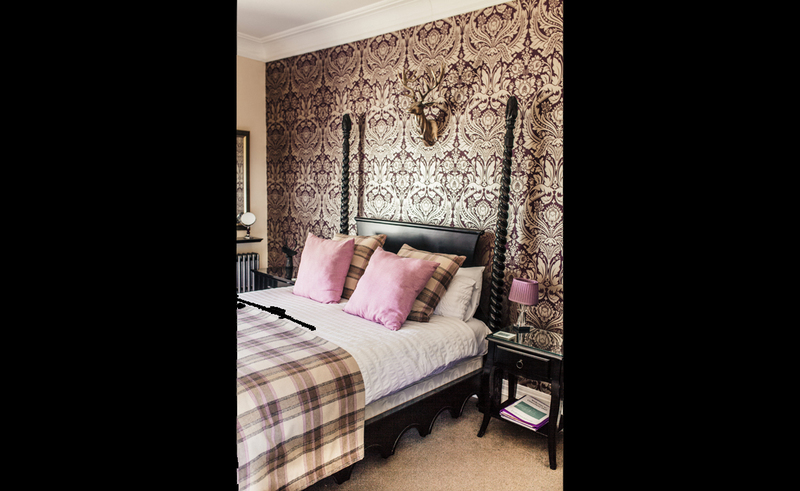 Decorated in soothing colours with tones of purple, lilac and silver, the room has a relaxing feel. 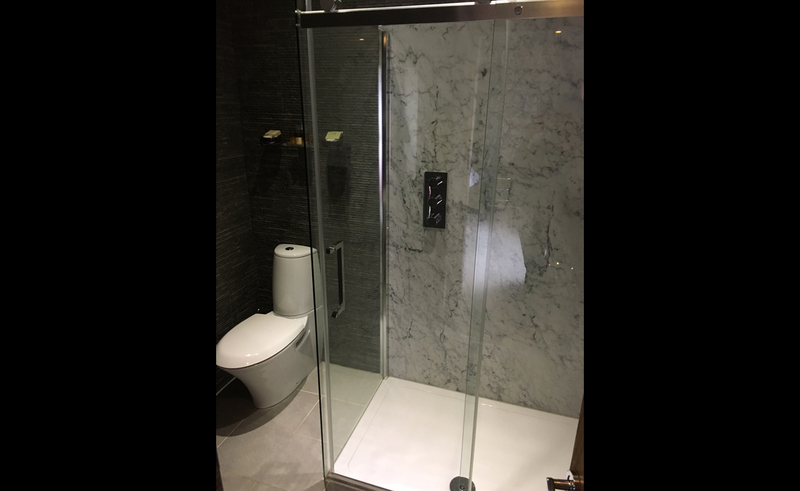 It has an en-suite shower room, finished with natural marble and slate.